CHRISTIAN MUSIC SALE! We have a wide range of classic Christian music, including your favorite groups' and artists' CDs. Whether you are looking for CDs from Petra, Rebecca St. James, David Meece, or Russ Taff, the Christian Knight Comics Music Store is your place! LIMITED TIME OFFERS! CHECK THESE OUT AND MANY MORE! FREE CHRISTIAN KNIGHT COMIC BOOK WITH EACH PURCHASE!! 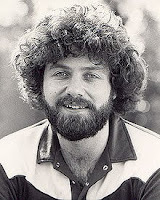 Keith Green - Christian Music Experience Month Featured Artist - Keith Green (1953-1982) was a man who impacted an entire generation. His music and his life was much like a racing flame -- on fire with vibrant passion for Jesus Christ. Keith Gordon Green (October 21, 1953 – July 28, 1982) was an American gospel singer, songwriter, musician, and Contemporary Christian Music artist originally from Sheepshead Bay, New York. Green is best known for his strong devotion to Christian evangelism and encouraging others to the same. Notable songs written by Green and/or his wife, Melody Green, include "Your Love Broke Through," "You Put This Love In My Heart," and "Asleep In The Light," as well as the popular modern hymns "O Lord, You're Beautiful" and "There Is A Redeemer."